True Confession Time - sometimes I just cannot "think" while I am teaching. While I have been teaching for so long, I think I could teach in my sleep, there are times when I just cannot "think" of what to do next at a lesson. This happened to me this past Tuesday. I start my morning teaching at 8:00 am. This past Tuesday, I woke up with a stuffy head and a grumpy foster son who did not want to get ready for school. When I arrived at my studio, I was still only half-awake and not very focused. 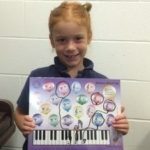 Norah, my first student of the day, came in with all her songs practiced and her "listening ears" on. So, we finished hearing her practiced material and her new assignments in record time - we had 10 minutes left in our 30 minute lesson! 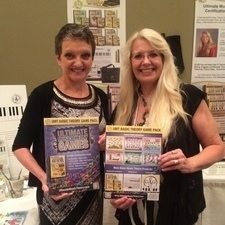 Basic Theory Game Pack To The Rescue! 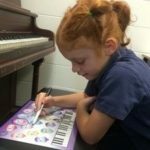 Norah is a beginner piano student. We are just introducing the Grand Staff in her Method Series, so she wouldn't be able to use the Basic Theory Game Pack would she? Well, I was desperate - my coffee hadn't kicked in and I couldn't even think of my usual Whiteboard Games that I play regularly. So, I grabbed my Ultimate Music Theory Basic Game pack and pulled out a game - "Balloon Match-Up". Eureka! Ideas came flooding into my sleepy brain. We matched keys from the keyboard to the corresponding balloon, drawing a tail from the balloon to the white key. Then we played the notes on the piano at the correct pitch. We played them forte, piano and mezzo forte. Before we knew it, our lesson time was over! And she had so much fun! She was so proud of herself. Norah left her lesson feeling successful with the biggest smile on her face! Do you want to know something? It made my day too and the rest of my teaching day went smoothly. I had found my focus, I was re-energized and I was ready to face the rest of my students! If you haven't got it yet, you can Order the Ultimate Music Theory Basic Game Pack, right now! It is not just for Basic Rudiments Theory Students either! P.S. - Join the Conversation! 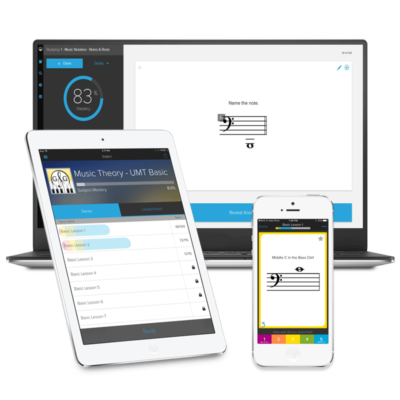 Have you had a "Eureka" Moment using the Ultimate Music Theory Basic Game Pack or the Whiteboards? Share it with us!